“Brushing my baby’s teeth is so much fun!” – said no parent ever. Well, that’s about to change thanks to The Brushies. This crew of adorable finger puppets are toothbrushes in disguise, making teeth brushing time a happy time for you and your little one. Two moms—a family dentist and a psychologist—are the dream-team behind the invention that will change your bedtime routine for the better. They combined their professional expertise with their parenting experiences to design a playful, effective way to brush. 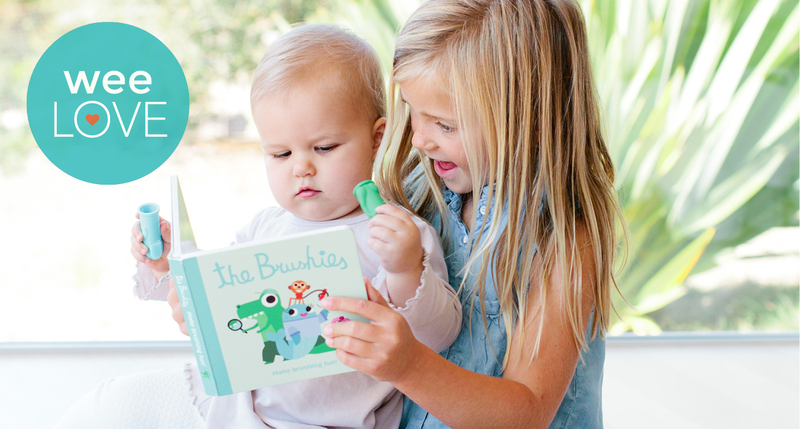 Willa the Whale, Momo the Monkey, Pinkey the Pig, and Chomps the Dino will be your new BFFs, turning a monotonous (often dreaded) daily task into silly, imaginative play. The end result: clean teeth without a battle. Designed for ages four weeks to four years, The Brushies are made in the U.S.A. with 100% food-grade silicone. They’re non-toxic, BPA, latex, and phthalate-free, as well as dishwasher-safe. 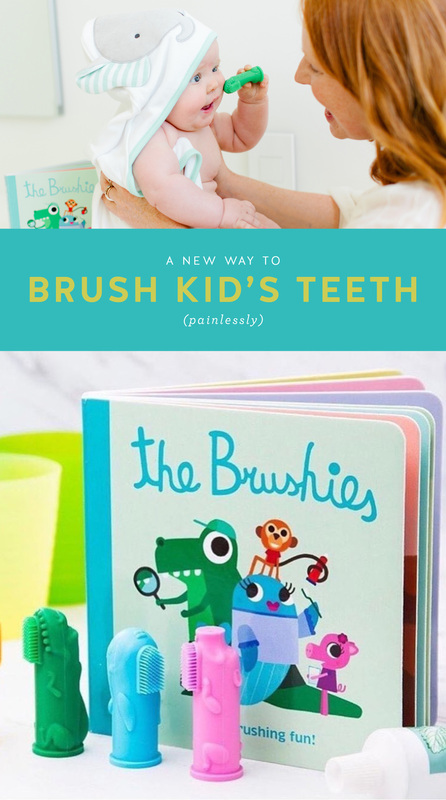 You can order individual Brushies or a Brushie/board book combo, which engages your littles in how fun it is to clean your teeth (plus a helpful.list of teeth-brushing tips for parents). Thanks to The Brushies, there’s need to stress about teeth brushing because now you’ve got a friend… or four. Next story weeLove: Who Said a Highchair Couldn’t Be Cool? weeAsked: What are your teething remedies? Big Qs: What do I do for a teething baby?